Weekly Happenings: This past week was spring break for Joseph. We didn’t end up doing too much out of the ordinary. We just sort of hung around the house, had a few play dates, and just relaxed. I had considered taking the kids to the zoo, but I didn’t want to deal with the spring break crowds. 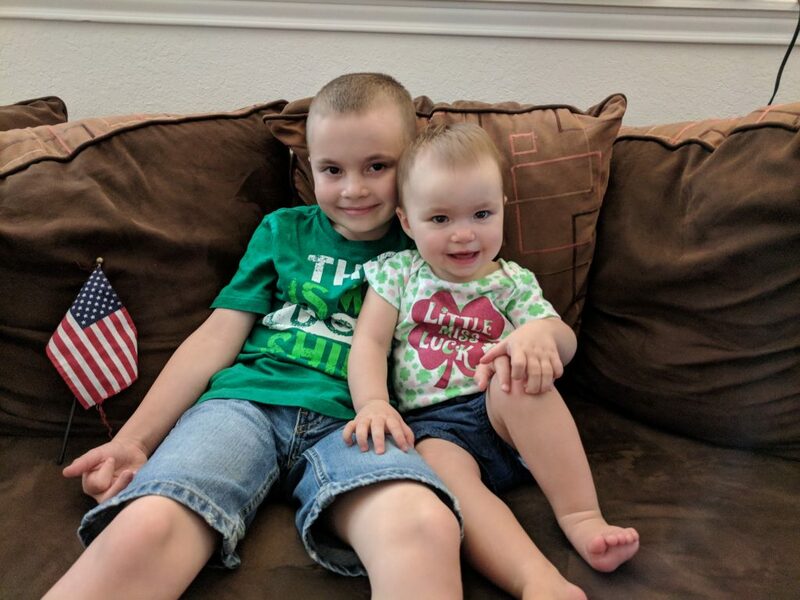 Besides, the kids both slept in pretty much every day (we just switched over to DST, so the time change made them not want to go to bed in the evening and sleep in once morning came…thank goodness it was spring break!). 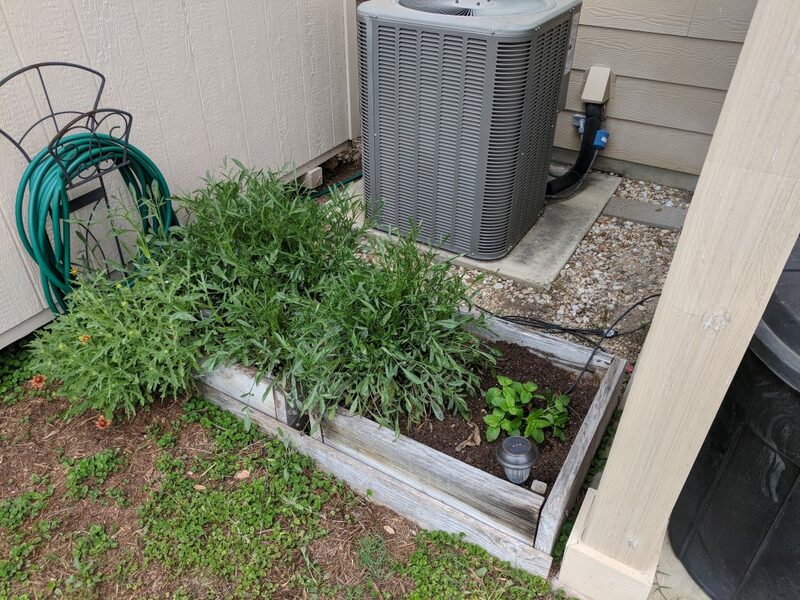 On Saturday, we had a “planting day” where we went to Lowe’s and got some new plants for the planters and garden (I’ll go into more detail with what we got with the pictures). The Weekly Weather: It’s been really nice. It’s been warmer but not too, too hot yet. I don’t think we got any rain last week. We did notice the bluebonnets starting to pop out, so spring is pretty much here! What Paul’s Been Up To: He’s been pretty busy with school (this semester is heavy on group projects amongst other things) and work always keeps him busy. He’s also having to start back up with a bit more yard work now that spring is here and the lawns are coming out of their dormant state. What Sarah’s Been Up To: Keeping both kids entertained during the week was pretty much a full-time job. I did take some time on one of the cooler days to weed the back yard (those prickly winter weeds are the worst!). What Abigail’s Been Up To: She’s been her normal happy-go-lucky self. 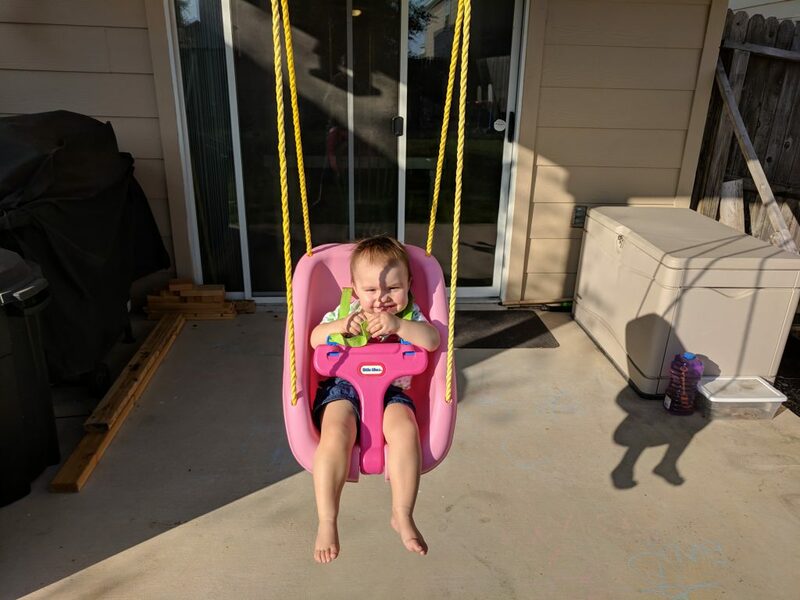 She’s starting to cruise the furniture more adeptly, bounces along to music playing, and has become extremely proficient at taking her shoes off and throwing them (usually in the car). Last night, she was fussing a bit, so I asked her if she wanted to take a bath (it was about that time anyway). She stopped mid-fuss and started clapping. She shrieked with sheer joy when I started the water. That girl sure loves bath time! She also loves mandarin oranges. I hadn’t given her any until quite recently (I wanted to wait a bit due to the acidity), but once I did, there was no going back. She’ll polish off an entire fruit cup’s worth in less than five minutes. 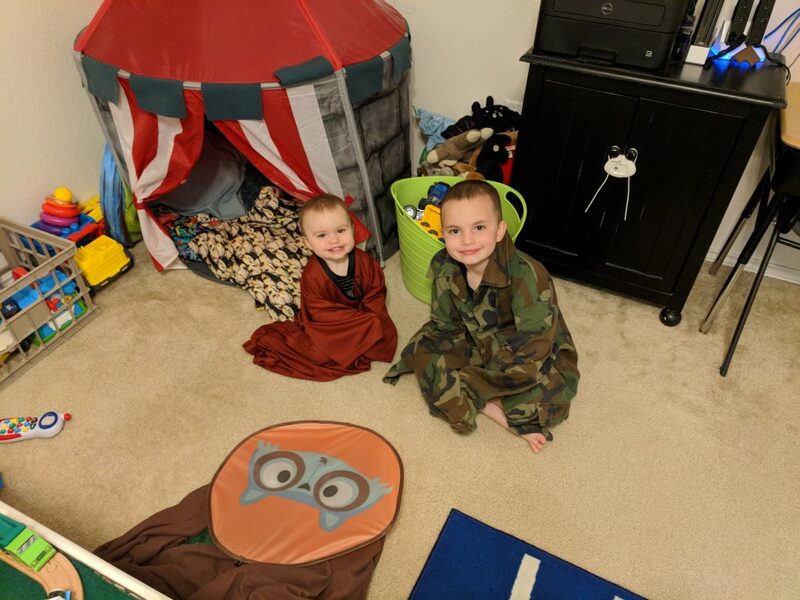 I came upstairs to find them playing dress up. They were both having a ball. 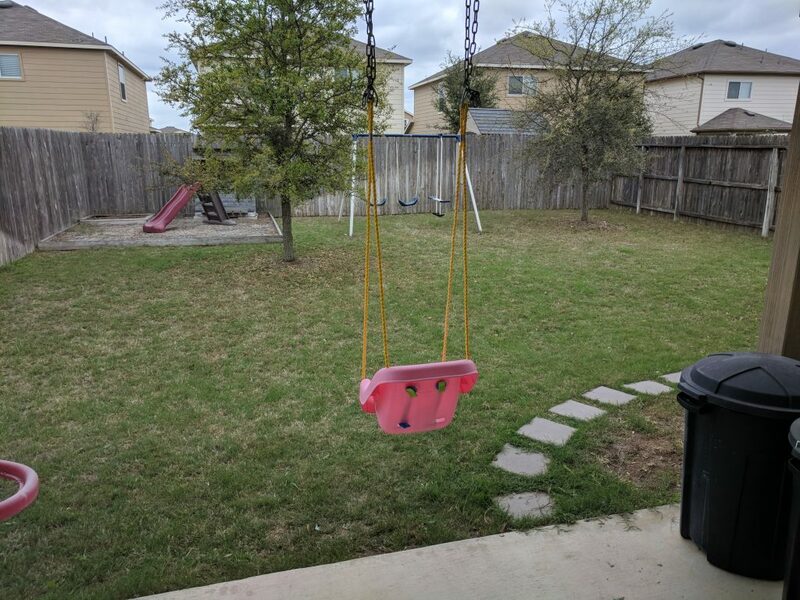 The grass is starting to green up. The trees are also losing their old leaves as the new ones pop out and push them off. Spring is coming! Yay! 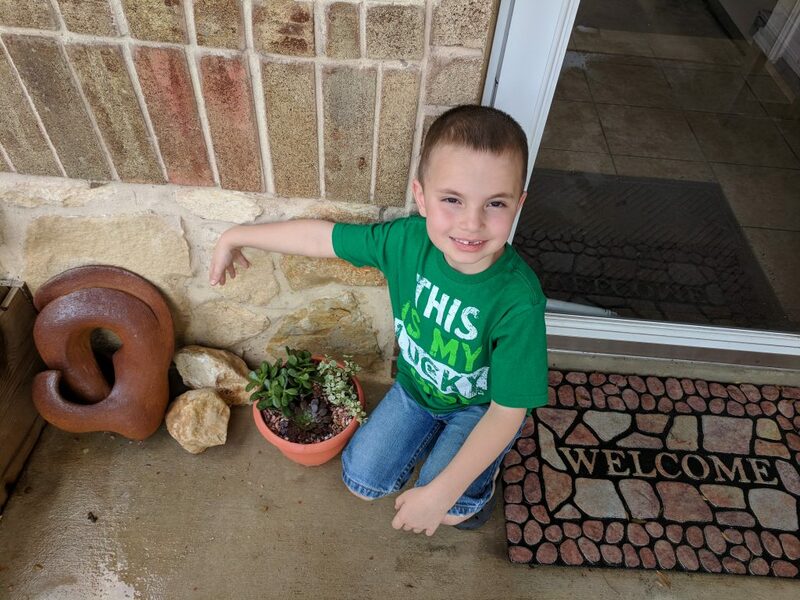 Joseph modeling my new succulents (alas, the aloe vera bit the dust when I forgot to pull it in during our freezing temps a few weeks back). 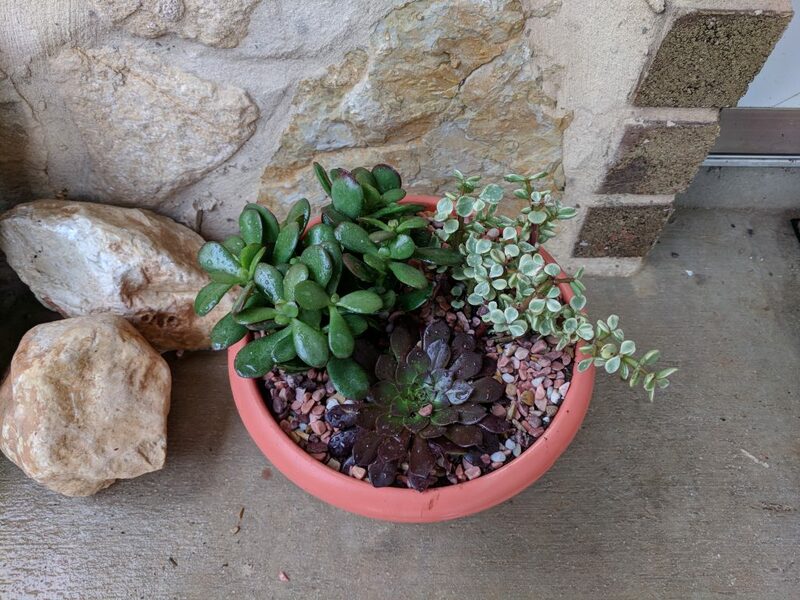 A close-up of my succulents. It’s my first time grouping them together, but I have several friends who have started doing this type of thing and can thankfully give me pointers. Joseph checking out the new garden plants. 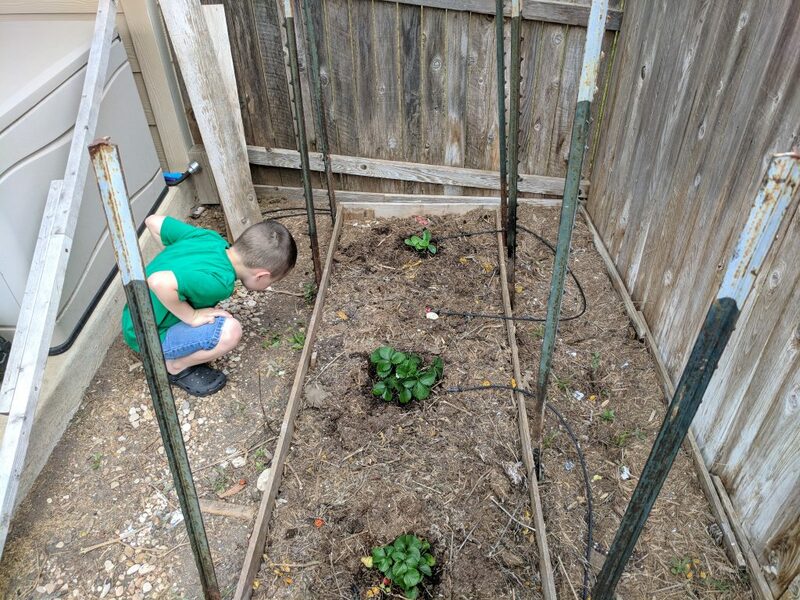 Instead of tomatoes this year, we’re doing two different varieties of strawberry (the front two plants) and a zucchini (the one in the back). We wanted to fill up this bare space next to the wildflowers, so we opted for some mint. We know it will take over that spot rather quickly. The wildflowers are really thickly established, so I doubt the mint will choke them out. If it does, I’ll just prune it back. The wildflowers in the front are starting to come back and bloom. 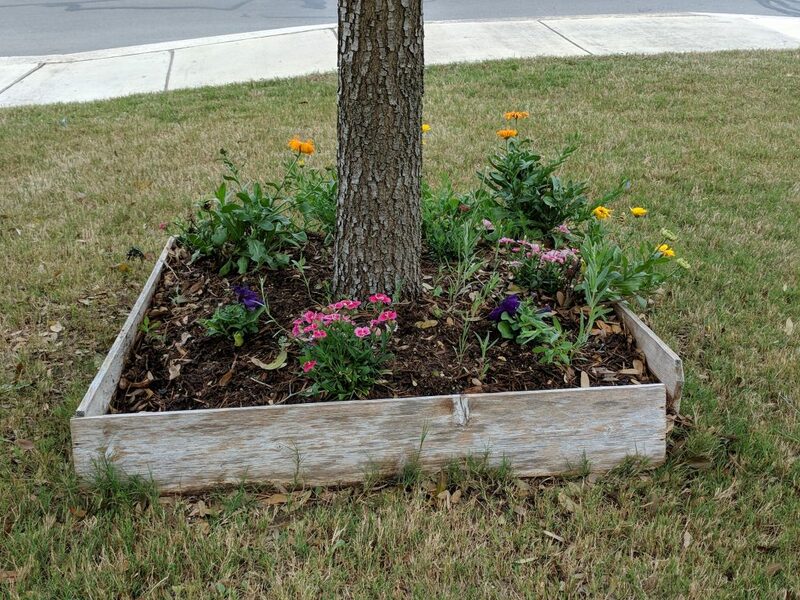 Paul did toss in a couple more flowers (the purple pansies) to fill in some of the space. Sporting their green for St. Patrick’s Day. Swinging after dinner. While I don’t love the mechanics of the time change (mainly getting my body used to it), I do like that it’s still light after dinner.